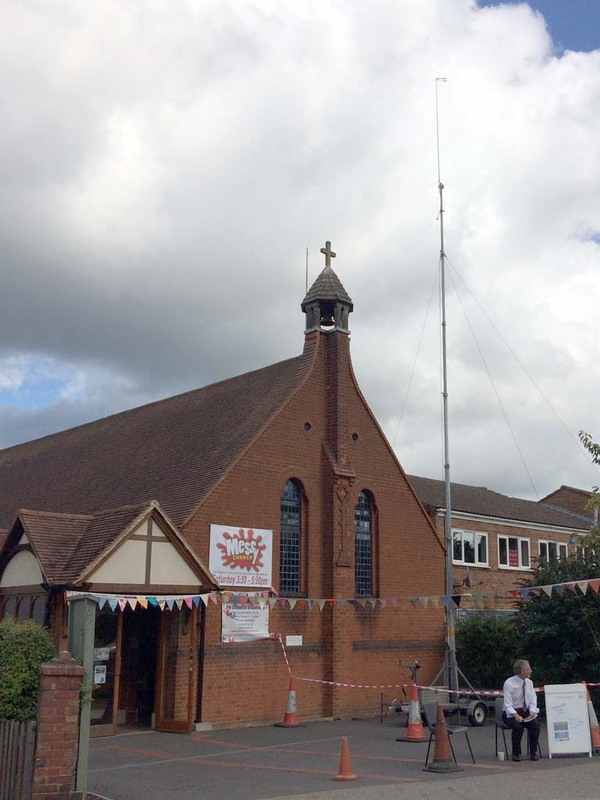 GB4STS "Brookwood on the Air"
Two Amateur (HAM) Radio stations were active for “Brookwood on the Air” on Saturday 12th September at St Saviour's church and Ofcom granted a special call-sign GB4STS for the day, which coincided with the national Churches on the Air (CHOTA) event. 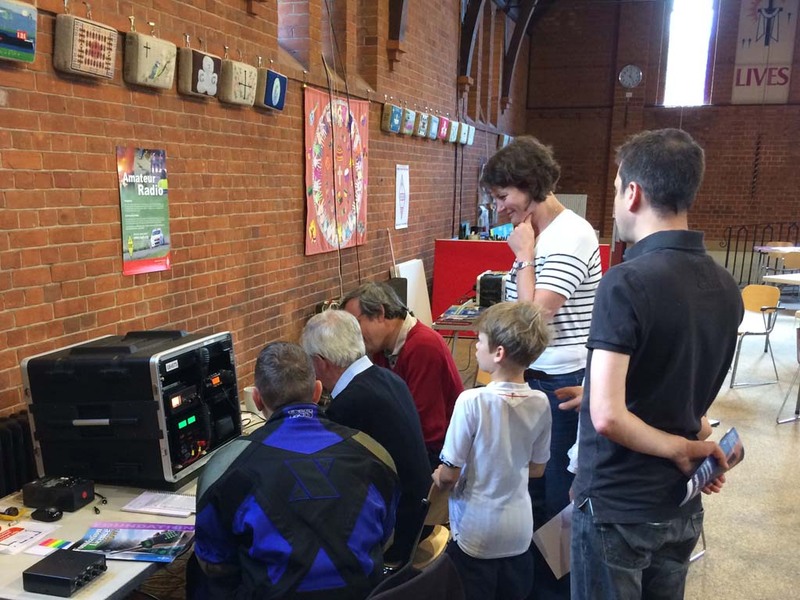 We were very fortunate to have Peter M0URL, an ex-Merchant Navy Radio Officer giving a superb live demonstration of Morse code communications, still in use in this century! Radio propagation conditions were not very helpful on the day (sunspot activity) and although a number of Russian stations were heard, the furthest two-way contact (QSO) was with Zola HG30CW in Hungary at a distance of nearly 1,500km, all in Morse code! Continental QSO's included France and Germany. Closer to home, we had a brief conversation with the National Trust at Polesden Lacy. 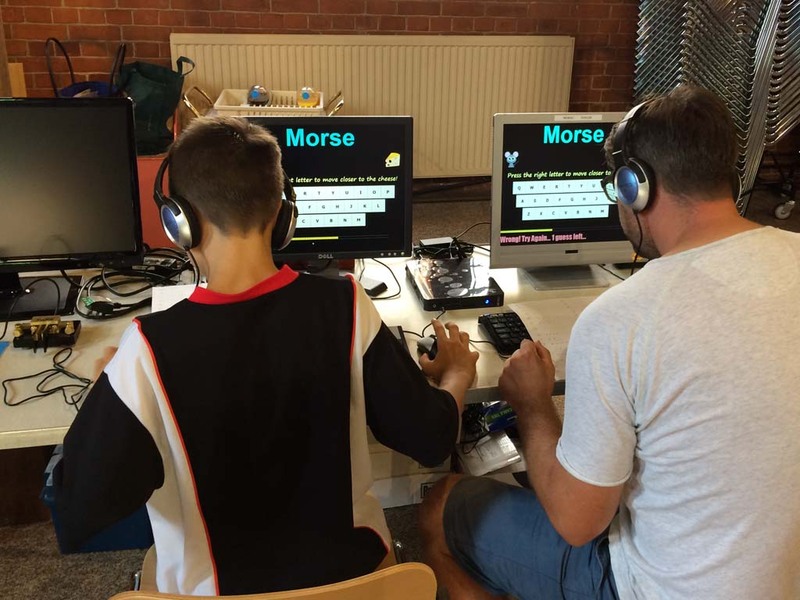 A number of youngsters tried their hand at the Morse Mouse computer game (courtesy of Charlie M0PZT), usually beating their parents and sending messages using Morse Code practice keys. 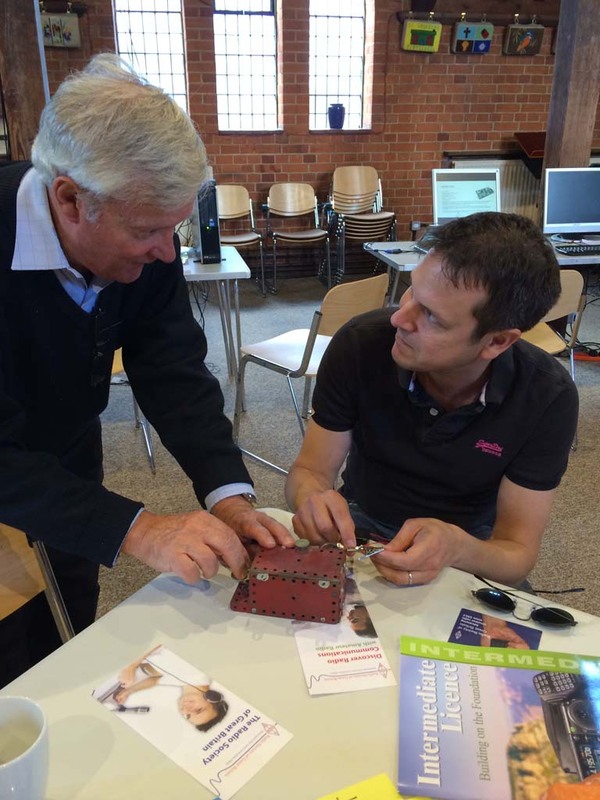 One resident brought in a Meccano Morse key he made about 25 years ago, which he showed was still working and Walky-Talky's were seen clasped in earnest young hands striding purposefully around the church. A Raspberry Pi computer (credit card sized) showed a global map screen with tracks of radio satellites and the International Space Station. Cutting edge technology in the form of Software Defined Radio (SDR) was ably explained by Dave Lugton. 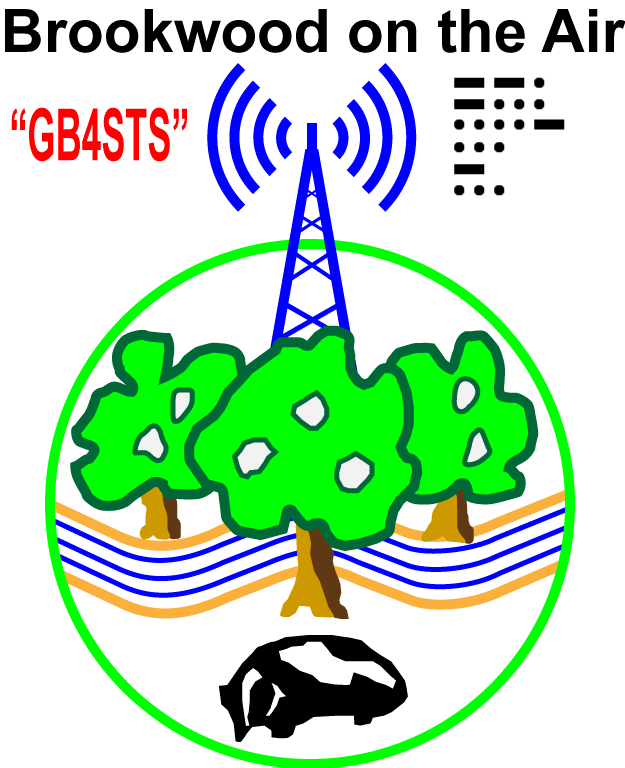 The main antenna was a half-sized G5RV doublet (dipole) 20m long, aligned north-south, suspended between two 12m high masts. The HF transceiver was a Yaesu FT-857D delivering 100W RF power on 7MHz (40m) and 14MHz (20m). Colinear vertical antennas were used with a Yaesu FT-7900E for VHF & UHF work on 145MHz (2m) & 433MHz (70cm) at 50/40W. A wide band (25-1,300MHz) DisCone scanner antenna fed the receiver systems through a G4HUP RF distribution amplifier. The SDR display used a FunCube USB dongle Pro+ developed for radio satellite systems loaned from ML&S. 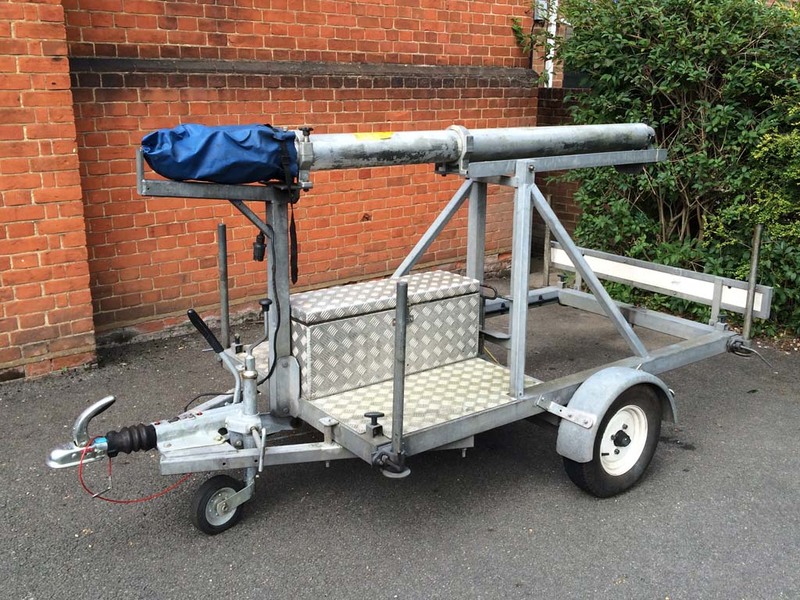 Special thanks for the Primary trailer mast loaned from Simon G7HHI Woking Radio Mast Hire and Secondary mast loaned from Chris 2E0FCL Farnborough Communications. For a hobby activity that includes the word “Wireless”, there is a lot of cable involved! GB4STS brookwood.org.uk ANYONE FOR COFFEE?